Dovonex is a medicine used in the treatment of plaque psoriasis (psoriasis vulgaris). 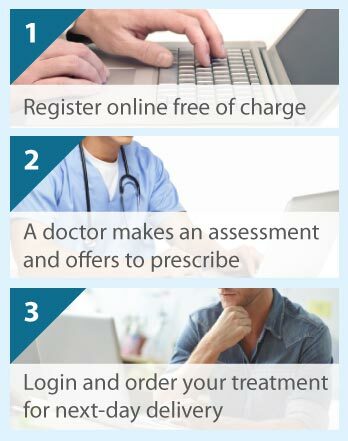 The Online Clinic can prescribe Dovonex online following a quick online consultation with one of our GPs. Just complete a free consultation form and it will be reviewed and (if appropriate) you will be allowed to purchase a prescription online for next day delivery. Dovonex contains an active compound called calcipotriol. Calcipotriol is derived from vitamin D and is in a class of medicines known as anti-psoriatics. The skin condition psoriasis is characterised by raised, dry, red areas of skin called plaques that are often covered with silver-coloured scales (dead skin cells). The skin may be sore and itchy, with cracks that can bleed. Plaques are caused by a faster than normal production of skin cells. As the shedding of older cells does not also increase, they therefore pile up on the top of the skin. How Dovonex works is to reduce the speed at which skin cells are produced. Dovonex is a topical ointment for use on the skin, excluding the face. It is provided in tubes containing 15, 30, 60, 100, or 120 grams. Your doctor will instruct you on when and how often to use it as this will depend on the severity of your psoriasis. Dovonex is usually used once or twice daily in adults. The maximum is 100 grams per week. Children generally use this medicine twice a day. The maximum is 75 grams per week in children older than 12 years and 50 grams per week in children 6–12 years. When ready to use Dovonex, wash your hands. The tube of ointment is sealed which, depending on tube size is either removed or pierced using the pointed part on the cap. Squeeze enough medicine either directly onto the affected skin or your finger to provide a thick layer, and then rub it into the affected skin area gently. Now wash your hands again, unless this is where you have treated the psoriasis. Try not to spread Dovonex ointment to other areas of the body, and wash it off normal skin if you do. Take care when using it in skin folds (e.g., under breasts and armpits). Use a moisturiser to prevent your skin becoming dry, but wait until it has been totally absorbed before applying Dovonex. Applying more than the recommended dose of Dovonex may cause your blood level of calcium to become too high and you may need to stop using the medicine until it returns to normal. Any missed dose should be applied as soon as remembered, and your treatment then continued as usual. Dovobet is for use by adults and children aged 6 years and older with psoriasis. It must not be used on children younger than 6 years, pregnant or breastfeeding women, or women trying to conceive. Some women are allowed to breastfeed, but will not be allowed to put Dovonex on their breasts. Dovonex cannot be used if you are hypersensitive to calcipotriol or any of Dovonex's other ingredients, have abnormal blood calcium levels, or have severe liver or kidney problems. You may not be able to use this medicine if you have exfoliative, erythrodermic, guttate, or pustular psoriasis, so check with your doctor before using it. All medicines that you take must be discussed with your doctor, including those recently taken, those you intend to take, and herbal preparations. You should also discuss your exposure to natural sunlight (sunbathing), sunbeds, and ultraviolet (UV) light treatment. An allergic reaction to Dovonex warrants immediate attention. Symptoms include difficulty breathing, swollen face, or severe skin rash with blistering or bleeding. You must also get medical help if you think you have excess calcium in the blood or urine (usually caused by using too much medicine). Symptoms include more frequent urination, thirst, dry mouth, taste metal, loss of appetite, stomach problems (ache, feeling sick, vomiting, constipation), feeling weak or tired, muscle or bone pain, and headache. The common side effects are usually mild. These are all skin related: red, flaky, burning, or itchy skin, dermatitis, rash, or pain or inflammation at the application site. Hair follicle infection, blisters that may weep or form a crust (eczema), and skin colour changes at the application site may occur but are uncommon, and excess blood or urine levels of calcium, sensitivity to sunlight, oedema (swelling skin), and seborrhoeic dermatitis are rare.